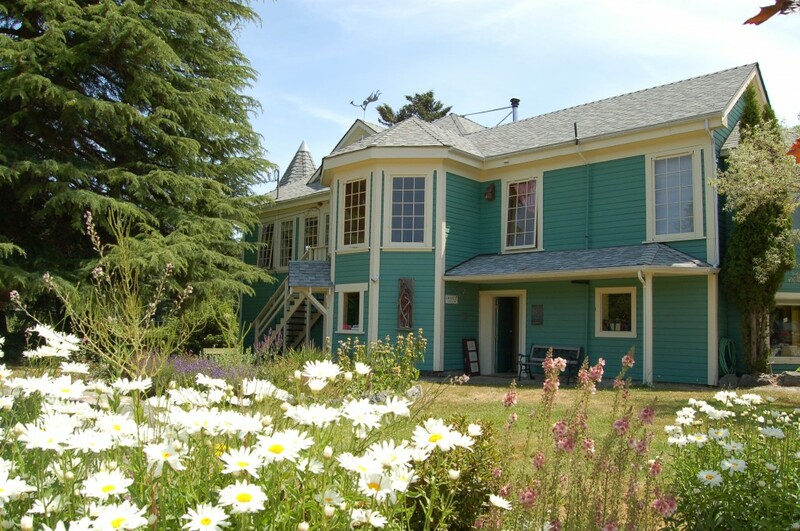 This year marks the 100th anniversary of the historic Blackburn residence, the main house of the Salt Spring Centre of Yoga as well as the 30th anniversary of the Centre’s purchase of this fertile land in the middle of Salt Spring Island. On Sunday, September 4 we are hosting an Open House to celebrate these two special anniversaries. This will be an opportunity for the Salt Spring community to visit the Centre, learn about the history of the land and the Centre and share in our celebration. With free yoga classes for the whole family, treats from the Centre’s acclaimed vegetarian kitchen, tours of the organic gardens and the land, this is a wonderful opportunity to join the SSCY community for an afternoon. Throughout the afternoon we will also offer tours of the heritage house which was built in 1911 by the Blackburn family, the namesakes of the valley, the road and lake. Experts in local history will be present with archival photographs and stories of how land and residence has transformed over the last hundred years. The house was built in 1911 by Allan Blackburn, a Scotsman from Skye. It was designed to emulate the original Blackburn home, though on a smaller scale. That home, named Roshven, still stands in Scotland, overlooking the islands of Eigg, Muck and Rhum. The Blackburn house consists of two and a half stories, each of approximately 3,000 square feet. Originally, it also contained a private Catholic chapel. This can still be seen in the semicircular apse and attached tower. When the Blackburn family first lived on the land it was used primarily as a Holstein dairy operation. Allan Blackburn died in 1925 and was buried in St. Paul’s Cemetery at Fulford Harbour. His wife and son moved away from the property, and it was eventually taken over by the government which altered the interior and operated rehabilitation programs in it until after the Second World War. Subsequent owners reestablished it as a dairy farm, but when the Dharma Sara Satsang Society bought it in 1981 it was being used as a museum/gallery known as Galleon Manor. We look forward to sharing this celebration with the community. Please join us. 2 thoughts on "100th & 30th Anniversary Open House"
fascinating to see where my great grandfather built their farm in British Columbia! One of these days we might visit from Scotland to see it!